Waterbury – Mr. Bernard J. “Bernie” Simaitis, 78, passed away at St. Mary’s Hospital on Friday, April 5. He was the husband of Jane (Nirka) Simaitis. Bernie was born February 24, 1941, in Waterbury, son of the late Bernard P. and Christine (Paukstis) Simaitis. Raised in Waterbury, he attended local schools and was a graduate of Crosby High School, class of 1959. He had served honorably in the United States Marine Corps from 1959 until his discharge in 1963, at that time he began his career with United Technologies, Inc., retiring in 1999. An avid outdoorsman, he was a member of the Southington Sportsmen’s Association.He had been in involved in the Boy Scouts in his youth and later as scout leader. He will be remembered most for his love of family and the joy he found in spending time them. 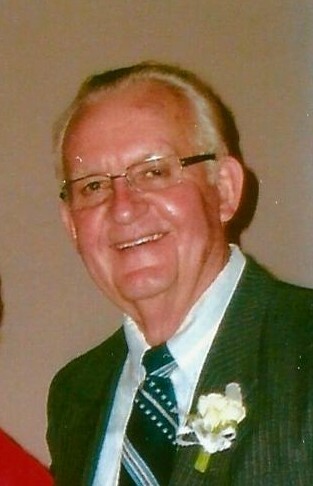 In addition to his wife of 57 years, Bernie is survived by, one son, Michael Simaitis and his wife Theresa; one daughter, Sandra Reeve and her husband Robert; eight grandchildren, Candace, Benjamin and his wife Laura, Michele and her husband Dan, Robert, Emily and her husband Peter, Rebecca, Christine and her husband Saeed and Sarah and three great-grandchildren, Bode, Owen and Remy. Calling hours will be held on Monday, April 8, from 6:00 P.M. to 8:00 P.M. at the Bergin Funeral Home 290 East Main St. A mass of Christian burial will be held on Tuesday at 11:00 A.M. at Blessed Sacrament Church. Burial will be private.